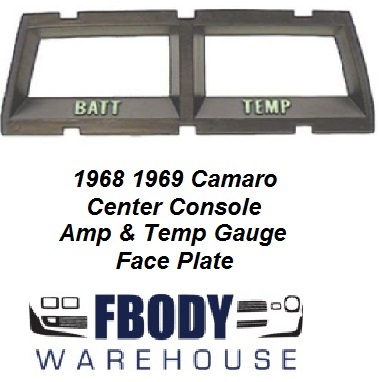 1968 - 1969 Camaro Center console gauge pod trim plate for amp and temp gauges. Injection molded reproduction with correct text and green color text. Correct appearance when illuminated.